After the much-panned Hamma Song, the title song of Shaad Ali's Ok Jaanu feels like a breath of fresh air. 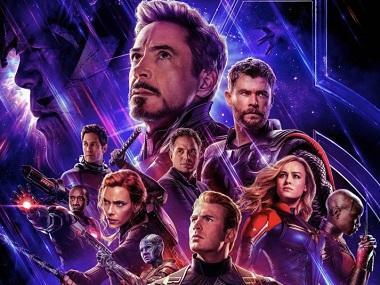 Sung and composed by AR Rahman, we are glad that the Academy Award-winning music director is lending his voice and unparalleled talent to a young romantic comedy. While Rahman's last Hindi film Ashutosh Gowariker's period drama Mohenjo Daro might be 'epic' for a completely different reason, his contribution to a youthful film transports us back to the Jaane Tu Ya Jaane Na days. Just like that film, the lead couple are seen having a great time bonding with each other in what would be a typical fun day in South Mumbai, in the Ok Jaanu title track. The last time we saw the locales of South Mumbai in such a song was in Vinil Mathew's 2014 romantic comedy Hasee Toh Phasee. Siddharth Malhotra and Parineeti Chopra were seen roaming around the streets of South Mumbai in the song Ishq Bulava. We saw glimpses of South Mumbai in Sanjay Gupta's Jazbaa but it looked so synthetic given the aqua tint that is inserted in order to convert the night shoots into day scenes. On the other hand, the title song of Ok Jaanu is anything but synthetic. 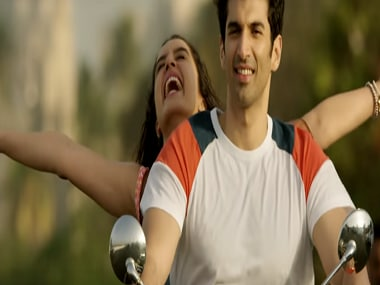 The joy shared by Aditya Roy Kapur and Shraddha Kapoor is infectious as they are seen racing with local trains on a bike, relishing barf ka golas, trying out sunglasses in front of Chhatrapati Shivaji Terminus and posing for selfies in front of the Gateway of India. To the makers' credit, even the product placement of Coca Cola (if it is one in the first place) merges smoothly into the narrative and is used creatively. The lyrics of Gulzar add more originality to the song. Rather than resorting to pushing words down the listeners' throat, the legendary lyricist allows Rahman to stick to the dummy lyrics or the aalap like the dhin dhin dhinna in the chorus. This coordination between the two speaks volumes of their well-documented collaboration that has ranged from Mani Ratnam's Dil Se to Yash Chopra's Jab Tak Hai Jaan. While the focus of the song is on the brighter side of a live-in relationship, it is a welcome change to allow two veteran music personalities come up with such a youthful number.